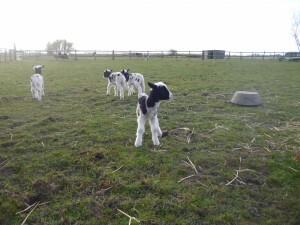 Cute pictures of lambs ! 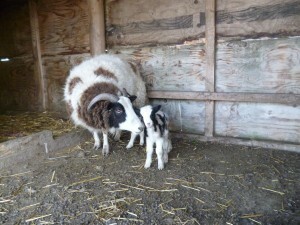 So far we’ve had three sets of twin lambs, all one ram lamb and one ewe lamb as well as one single ram lamb. 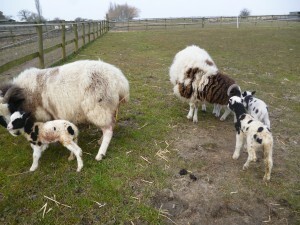 All the ewes lambed without assistance most of them overnight and so far both lambs and ewes seem to be thriving. 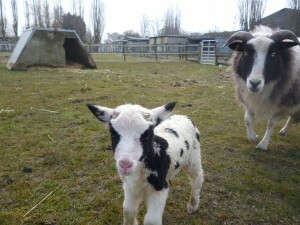 We’ve moved all the new mums into a nursery paddock separate from the rest of the flock. Left to lamb we have three first timers two of which definitely seem to be pregnant but we’re not sure about the youngest. 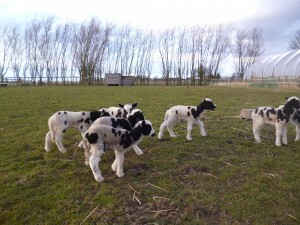 I could spend all day watching the lambs. 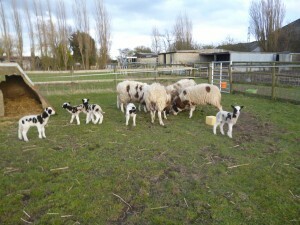 Generally they stay near mum, but at feeding time when the ewes are busy, they have a bit of a play together. 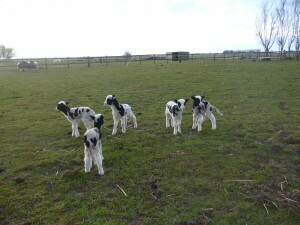 Over the last day or so they seem to have started a game of lets see who can run across the paddock the fastest. 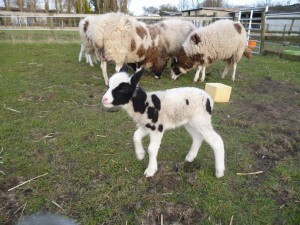 Comments Off on Cute pictures of lambs ! 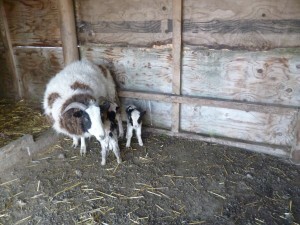 Last night one of our older ewes started seperating herself from the flock and hanging out in the field shelter on her own. 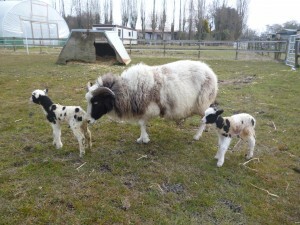 I suspected she might be about to lamb but we left her to get on with it overnight and this morning she presented us with another set of twins. 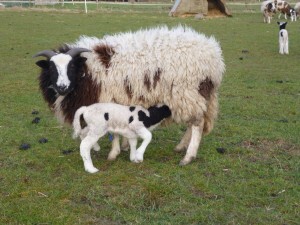 One ram, one ewe lamb again. Both are big and strong and seem very happy and healthy. 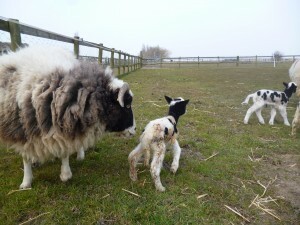 Mum is quite experienced so was just getting on with it. 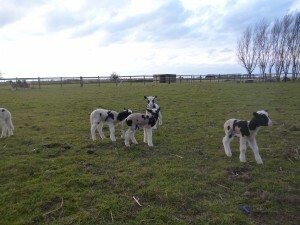 The weather is a lot warmer now (and we’re less anxious) so they’ve gone straight out into the nursery paddock with the ewe that lambed last week and her twins. 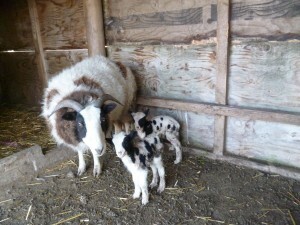 Went out to feed the pigs this morning and found our first lambs. 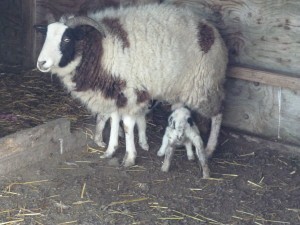 One of the older ewes had twins overnight. 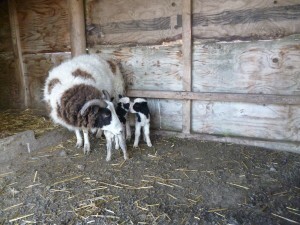 Both lambs were feeding well and seem fit and healthy. No problems with mum either. 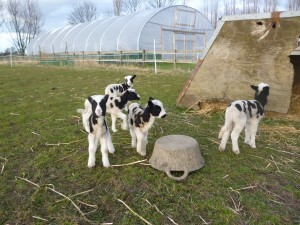 We’ve moved them all into the nursery pen inside the lean to barn. 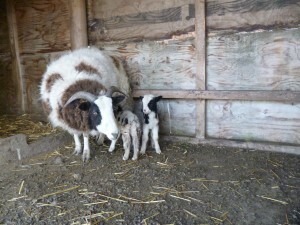 Here are the pictures fingers crossed all the ewes lamb as easily. 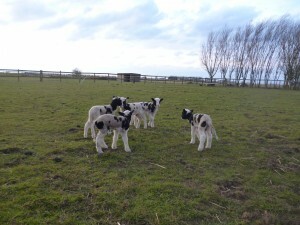 Comments Off on Lambs !